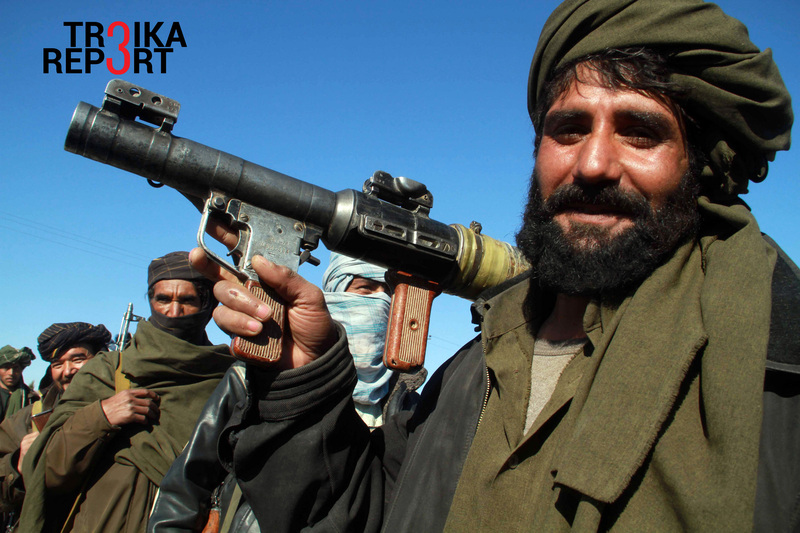 A Taliban militant poses for a picture after joining the Afghan government's reconciliation and reintegration programme, in Herat January 30, 2012. Some thirty Afghan Taliban have joined the program, Herat governor Daoud Shah said. Along Russia’s peripheries lies a string of countries with a track record of domestic upheavals and occasional spasms of aggressive foreign policy. To what extent do they pose a security threat to Moscow? Apart from the NATO countries to the west of Russia, Moscow has to take due account of the ups and downs in the other nations with which it shares borders, since some of them form part of the proposed “arc of instability” and others remain in a permanent state of “transition” that entails turmoil, chaos and outbursts of violence. Scanning the surrounding area, it is worth focusing on Turkey, Iran, Islamist groupings in Central Asia, China and Ukraine. Given that Russia-Turkey relations have resembled a runaway roller-coaster in the last eight months, is there a risk that one nasty day the bumpy dialogue might be abruptly ruptured and we would be back to ground zero? “It’s possible” was the answer provided for RBTH by Vadim Kozyulin, a senior research fellow at the PIR Center, a Moscow-based independent think tank, who chose to highlight two arguments. – What about the new ambitious regional leader, the de-sanctioned Iran? Is it a potential threat? – No risk at all? The security threat from various Islamist groupings like Al-Qaeda, Jabhat al-Nusra, Ahrar al-Sham, Taliban and, above all, Islamic State of Iraq and Syria (ISIS) – or Daesh, as it is also called – cannot be underestimated, despite the fact that on the battlefield in “Syraq” they seem to be retreating and only biting back in despair. How realistic is Erdogan's pivot to Moscow and Tehran? For Russia, the spread of aggressive religious fundamentalists present a serious challenge because it might destabilize the nations of Central Asia. The leaders of these post-Soviet republics still maintain a high level of political and economic interaction with Moscow, with hundreds of thousands of migrant workers from the region having found temporary or permanent jobs in Russia. Attempts of radical groupings either to partition these republics or seize power in any of them would be totally unacceptable for Russia as well as other neighbors like China. The routine scenario envisages a spillover of Islamists from Afghanistan, where some Taliban warlords have already sworn allegiance to ISIS. Yet, the likelihood of such a scenario is dismissed by Ivan Konovalov, a military expert and director of the Moscow-based Center for Strategic Trend Studies, who points to a challenge emerging not from the outside but from the inside. “For the moment, the talk of a danger of Daesh or Al-Qaeda taking over Afghanistan and using it as a stronghold to launch an offensive against the Central Asian republics is misleading. The countryside in Afghanistan is in the grips of prolonged tribal feuds. Extremists are disunited. Daesh can hardly serve as a unifying force. – Would this force Moscow to get involved to bring things to order? – Do you not see expediency in putting up defenses before the possible outbreak of hostilities? Moreover, the phenomenon of radical Islamism is deeply rooted. It is determined by powerful social and economic factors in what was once known as the Third World, e.g. poverty, illiteracy, epidemics, sky-high unemployment among young people, class and clan-based societies, the incompatibility of religious dogmas with modernity, etc. China as next-door neighbor: asset or liability? This wouldn’t automatically spell trouble for Russia, would it? This is not a security threat. – How might this affect Russia’s security interests? Analyzing all the possible security threats, it is also necessary to assess the possibility of a military coup d’état in Kiev, with ultra-nationalists coming to power. Due to their Russophobe ideology, they might be prone to military adventures. Ivan Konovalov claims Russia’s leaders are taking into account such a worrying scenario, citing recent announcements by Sergei Shoigu, Russia’s defense minister, about the creation of new military units.